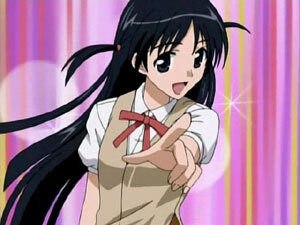 Tenma. . Wallpaper and background images in the School Rumble club tagged: school rumble tenma funny. This School Rumble photo might contain anime, komik, manga, and kartun. Miko-Chan + Imadori .... ? Imadori wants Laura to smile.